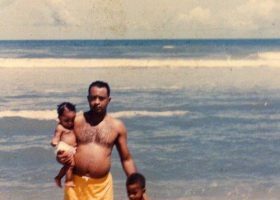 Orlando Memory » Topics » Oral History Interview with Belvin Perry, Jr.
My name is Belvin Perry, Jr. 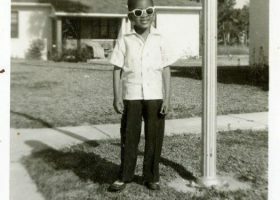 I was born October 11, 1949 in Orlando, Florida on Holden Street which is now known as Anderson Street between Division and Parramore. [Were you born at home?] Yes, I was born at home. [And did a midwife come from the neighborhood?] From what I was told, there was a midwife there. During that time period there were very few people that were born in hospitals. [And you’re obviously very healthy.] Yes, I turned out to be okay. 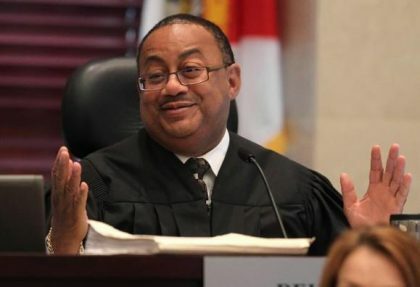 Belvin Perry, Jr., Chief Judge of the Ninth Judicial Circuit Court in Florida, presiding over a hearing involving the Casey Anthony case, 2010-2011. What was your neighborhood like? Is that where you grew up in that area? I didn’t grow up in Holden Street I grew up one street over on South Street near South and the corner of Terry Avenue. And then we moved later on to Washington Shores and I basically spent my formative years, junior high school and high school in the Washington Shores area. [Were there parks there like there are today?] Well, number one when I lived on South and Terry there were no parks. A block away from where I lived was a branch library at the corner of Jackson and Terry. It was the library that was born out of segregation. I could remember as a kid going down there once a week checking out books and reading books. At that time I had a keen interest in books dealing with history. So I would check books out and read books on various individuals: George Washington, Abraham Lincoln, George Washington Carver, mainly presidents that I used to read about. And I spent a great deal of time reading from that library. 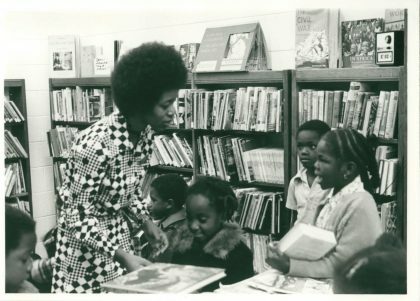 Orange County Library System Librarian Alice Grace with young readers at St. John Episcopal Church Library, the origins of the Washington Park Branch Library. The world at that time was very, let me find the right word, you sort of stayed within your own community. Everything revolved around that small area. 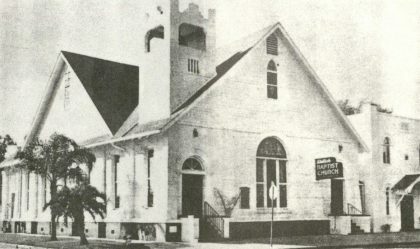 You went to church, and I went to church which was one block up at Shiloh Baptist Church located at the corner of Jackson and Terry. I lived on South and Terry. So everything revolved around that particular neighborhood. 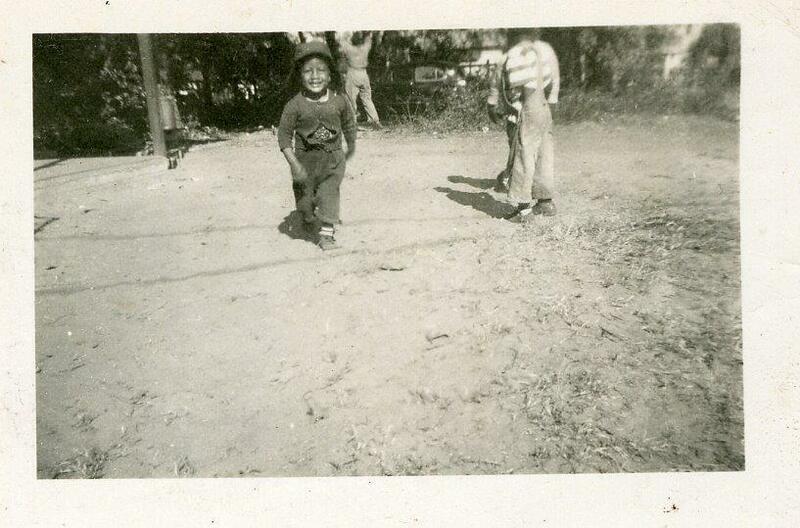 Belvin Perry, Jr. playing on Chatman Street just off South Street near his grandmother’s home, circa 1953. As far as parks were concerned, there was a field diagonally across the street from where we lived, where we used to play stickball and football. So that field was “our park”. There really were not any parks in town for us to go to. Out on Washington Shores though there was a park at Lake Mann that was on the lake, basketball courts. But that was about it in terms of parks. A typical Sunday was going to Sunday School which started at 9 am. Leaving Sunday School, going to church, it was from 11 am to hopefully 1 o’clock. Most of the time you were out by 1:30, came home had dinner, and was back to church at 5:30 for Baptist Training Union. And you got dragged into evening service. So Sundays were basically a day for going to church. 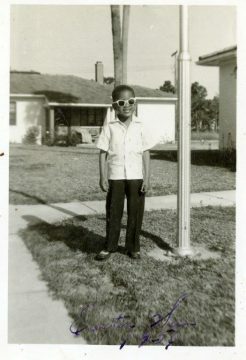 Belvin Perry, Jr. on Easter Sunday outside of Murchison Terrace apartment, 1954. [Did you have a nice dinner?] Yes, Sunday dinners were always nice. Church was interesting. You know, one of my Sunday School teachers one was Arthur Pappy Kennedy, and another was Willy James Bruton. So those were my Sunday School teachers. 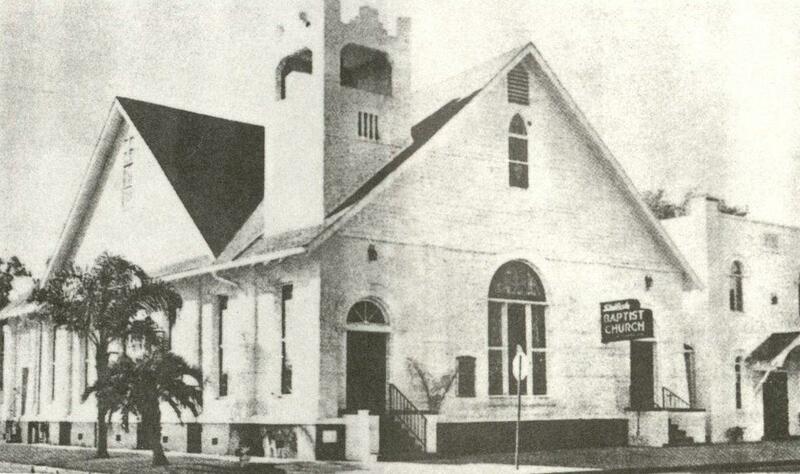 The superintendent of the Sunday School at one point was Paul Perkins, Sr.
At the time you were attending church did you realize how important these people were? Yes and no. Yes in the sense that you knew they were leaders in the church. But until I got older in high school and then college, then I realized the impact they had in the community. One of the things I can remember about Arthur Kennedy, and we used to call him Deacon Kennedy, was the fact that he would always encourage you. In my first opportunity for so called public speaking, and you didn’t consider it public speaking, was when he would ask and he would say, “You’re going to summarize the Sunday School lesson before all of the classes when we go back for assembly.” I used to like it because if you did a good job, he would give you 50 cents. And as a young kid, 50 cents was a lot of money. You’re absolutely right. But being able to communicate is a skill whether you’re an attorney or whatever you decide to be in life. You have to be able to communicate things to people. And that’s what they did. My parents, well, very loving, firm people. My dad in 1951 along with Richard Arthur Jones became the first two black police officers hired by the City of Orlando. 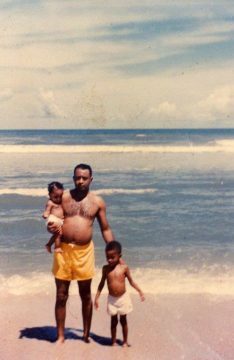 Belvin Perry, Sr. with his son Belvin Perry, Jr., and daughter, Valeria, at Bethune Beach, Summer 1955. My mom was a school teacher. And they stressed family, religion, hard work, and education. And those were lifelong lessons that you learned. Both my parents were very meticulous when it came to doing certain things. And when you get out of bed you made your bed up. Everything had a place. You didn’t leave things hanging on a chair. You hung your clothes up. Everything had a place and had to be placed back in there. I can remember when it was my turn to clean up the kitchen and do dishes. I can’t think of the times when it didn’t pass inspection the first time and you had to come back in and redo it. But those were life lessons in how to do things right. And you learned from those life lessons that really there were no shortcuts to perfection. That it required hard work. And those lessons were reinforced by the teachers that I had in elementary, junior high school, and high school.And when you look back you see how all of those things help make you the individual that you would become in life. I remember I thought I had the meanest third grade teacher in the world: Mrs. Delois Williams. She was an excellent teacher, but she was a disciplinarian. If she had to go to the office or the teacher’s lounge, you were to put your head on your desk and you sat there quietly. If you talked to someone you got disciplined. And it was always these lessons about what was right, what was wrong, and about preparation. And she taught me in third, fourth, and fifth grade. She had the same class. They moved her up with the class. So by the time we got to fifth grade, I mean, she knew us, we knew her, and it was quite an experience. You know, I was fortunate to participate in the Jones High School Band with James W. Wilson affectionately called: “Chief”. And that was during the time where he stressed perfection. He had this saying, “Perfect practice makes perfect performance.” And he always believed in perfection. Doing it right each and every time. And we were able to compete with any band in this state or anywhere else. I had a teacher by the name of Dr. Freeman Comey who taught physics. And he noticed our interest, there was about five or six of us, that had an interest in chess. I don’t know if you’ve heard of Dr. Sylvester Gates? He was recently inducted to Orange County Public Schools Hall of Fame. He was a Jones High School graduate and he went on to graduate from MIT in physics and he’s a professor at the University of Maryland. In my senior year, 1968, we put together a chess club. Gates was part of that chess club. I was a part of that chess club. Don was a part of this chess club. Charlie Smith was a part of this chess club and two other guys that I can’t remember now. And Freeman Comey arranged for us to play the chess clubs at Winter Park, Edgewater and Boone. You know, we didn’t have fancy- ours was just the regular plastic chess pieces, you know. The kids from Winter Park, Edgewater, and Boone they had the real nice ones. And, they would not come to our school to play us. We had to go to their school. And, we beat them. And, after we had those three matches and we beat them, we couldn’t find anyone else that wanted to play us. And, it was just fascinating because they thought why should we play them, we’re going to beat them anyway. And it didn’t turn out that way. But that was the type of nurturing that we got at Jones High School. Yes, I remember going there during spring break and during the summer. And we were sort of like free labor all the grand kids. I remember after they harvest tobacco, they cure it in a tobacco barn where they heat it. And then they take it and then they store it to let it dry. And it stays in storage for a while and it’s on sticks. I remember learning you put the sticks on sort of like a house. And it’s on strings. You cut one end of the string and you pull it off just like this. And, I remember all day pulling the tobacco off the sticks, stacking it up in a cart, and after doing that for close to a week, it’s all loaded up. My grandfather would take it to High Springs to sell tobacco. So that was my experience besides feeding the hogs, the cattle, and watching different crops that were grown. It was fun to us. But it was a very interesting experience. Particularly when I got to watch them, you know, slaughter a pig one day. 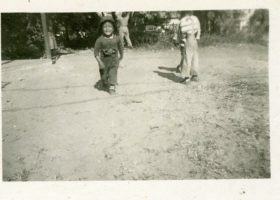 My first paid job… my dad found me my first paid job and it was a program through the City of Orlando, a summer work program. I worked for the City of Orlando. And the first two weeks they had us on the back of garbage trucks going around picking up garbage. The next two weeks, we went out to Ben White Raceway, and they had us digging holes for these big palm trees that they were about to install. If you round this table off, the holes were that big. And you ended up having to dig a whole that was about four or five feet deep. And it was hot in the summer. And it was then I said, “You know what, I’m really not interested in doing construction work or manual labor.” It reinforced that I needed to do something else, that I wanted to do something else, if I had any other doubts in my mind. After that job, I used to serve as a banquet waiter when I got out of school at the Robert Myers Hotel which is two blocks up. It’s since turned into a condo, but that was the Robert Myers Hotel. I also worked at the Holiday Hospital on Mondays, Wednesdays, and Fridays from 7 to 11 and we were charged with doing the floors, and cleaning up the lab, and the surgery room. When did you work for Hy and Harriett Lake? I worked for the Lakes for two summers after my freshman and sophomore year at the hotel, the Travelodge on South Orange Blossom Trail. It was a brand new hotel and what was so impressive about that, and again there was a method to my father’s madness, I worked from 11 to 7. 11 pm to 7 am and I had Mondays and Tuesdays off. So you know what that meant. The interesting thing about working for the Lakes was that what was surprising to me was Mrs. Lake. She actually worked behind the front desk. She would check people in and out of the motel. And Mr. Lake would drop her off and he would come back and pick her up. But what was unique about both of them was they would talk to you- you know, you have down time- about what were you going to do. How were you preparing yourself and things they thought you should do. And they actually cared. 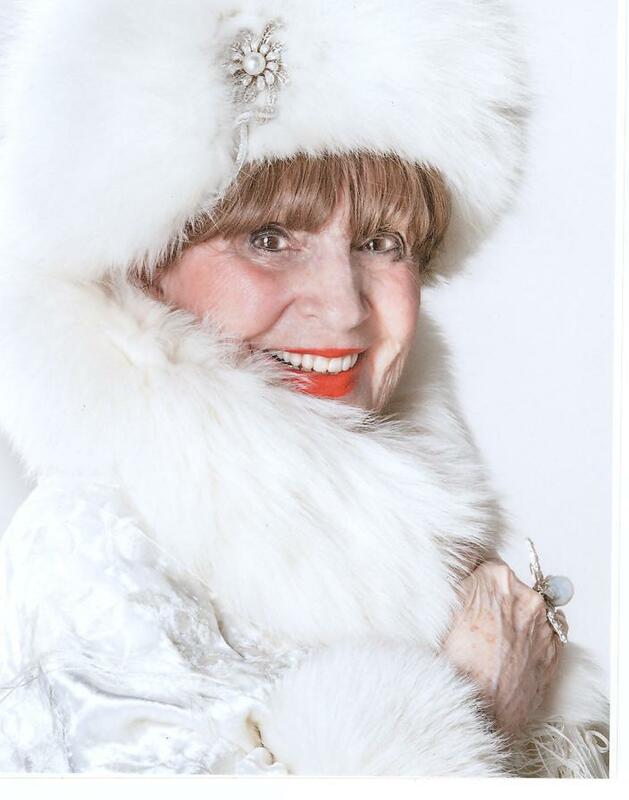 Orlando Philanthropist Harriett Lake, circa 2015. Their son, Michael, would actually on Friday and Saturday night, him and I would be there and he would be auditor at night. But you got to know people who were very genuine and caring. And when I look back on it, they took up time when they really didn’t have to take time to talk with you, to encourage you. And it goes back to that old saying, “It takes a village to raise a child.” Even though you have a good foundation at home, it is only natural for kids to sometimes think their parents don’t know what they’re talking about. But when you hear it from the village, then it begins to sink in and say hey what your parents are telling you is what everybody else is telling you, the same thing so you need to follow that. When did you decide to pursue law as a career? It all started when I was in elementary school and I started going to City Court with my dad. And he would have to go and testify and sometimes he would take me with him. I always took keen interest in those proceedings to see the city judge and listening to the testimony making a decision and the respect and reverence that they had for the judge. And because of my dad’s law enforcement background, I knew then I was interested in two things: either a doctor or a lawyer. What I did not know was that my dad’s dream was he said, “If I have two sons…” he wanted one to be a lawyer and one to be a doctor. And he got to see that happen. What made me-all through junior high school and high school, I was torn between the two until 12th grade when I took chemistry. And I decided the better part of valor was to pursue law rather than medicine because I was always fascinated by medicine. For Christmas, I got a microscope. We learned from Mrs. Williams by just getting a jar of water in a masons jar and putting grass in it that was cut and if you eventually let it stay in there long enough you would see a one cell amoeba grow. And I was fascinated how could that be possible? And I can remember taking an eye drop thing and dropping it in a slide putting it on a microscope and seeing a one cell amoeba. And those were the type of things that really fascinated me. My parents paid for my college along with, I had a scholarship, a music scholarship to Tuskegee in Alabama. [And law school?] My parents helped pay for law school,part of it. I had to get loans. Well, you know, one of the things that my parents always stressed, it wasn’t an issue as to whether you were going to college, the question was where were you going? And my parents made sacrifices for that. My dad worked every available outside job he could. My mom, even though she was a teacher, she was an excellent seamstress. She used to make many of her clothes, many of my sister’s clothes and even made some jackets and things for me. Yes. We’ve been at Jones High, I think, for over ten years now, and I head up the program. It’s a mentoring program. And the reason we decided to go to Jones High School: One, a number of us graduated from Jones High School; number two we knew the rich tradition of what Jones High School graduates did in this community and the community that they moved on to when they graduated. Jaycees Burton Thornal, pictured above, collecting food for people starving in Volos, Greece, 1946. “The largest contribution, however, came from an all African-American high school. 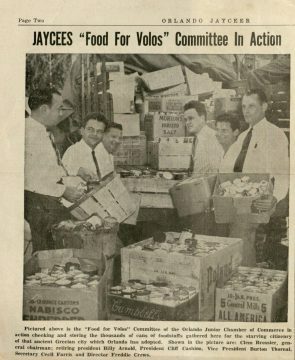 In less than one week 800 African American students at Jones High School collected 5,000 cans of food for Volos…. Surprised at the number of cans collected, Jaycees chairman Burton Thornal called this ‘the finest civic gesture he ever witnessed’.” Read more. And, we also knew there was a pattern throughout the state and the nation since integration of closing down predominantly black high schools. We also knew that in a sense, Jones High School had been neglected. And so, we started out there a program of mentoring boys and girls because we firmly believe that what they see is what they’ll be. And we wanted them to see that there are people just like you who grew up in the same general area under times that were more difficult then the times that you’re growing up under and that have been successful. And if you complete the program we will give you a $5,000 a year scholarship to help you with your education. And some of the things that we do, and we started this as a component about four or five years ago – investments and budgeting. You know the trend has been moving toward Defined Benefit Retirement Programs. And we found that a lot of young people really didn’t understand stocks and bonds. And we realized that they would need to know that. Because if you live long enough you’re going to want to retire. And if you have no understanding of that, you will end up working basically to the day that you die. So one of our members, Alvin Coward, who’s the president of Ocoee Federal, put together this module where he explained to them about stocks, bonds, about how to budget. And he gave them $5,000 in Monopoly money so to speak. And they would choose their stocks and bonds. And each month they had an opportunity.They would track it and come together to either sell or stay where they were. And one of the interesting things about this, the very first year we did it- and at the end of the school year we have an awards program – this young kid made about $4,000 off his $5,000 investment. His dad was totally astonished about how was his son able to do that. We have another component called Career Choices. You know, you’ve got to look at a career in terms of: 1. Is that something you want to do for the rest of your life? 2. Can you make a living doing that? And trying to get kids to investigate and think about those things. When Clarence Otis was still president of Darden, he’s one of our members, he would always have the kids, we would go out to Darden Restaurants’ Corporate Headquarters. And they were astonished not only at the operation out there, but they were astonished to see people who looked like them in various positions of authority. And we have those people basically talk to them about what they went through. But, most importantly, what they had overcome. And, it would let them know, look if that person could do it, I can do it. We’ve worked with Florida Hospital now for about five or six years about healthcare careers. We all know about nurses, lab techs, and doctors. But there are a myriad of various different careers in administration. And so, we have people come out from Florida Hospital and talk to them about those. And it’s an eye opening experience not only for the kids, but it’s been an eye opening experience for me. And healthcare is one of those things that will always be among us. And it’s just adequate. One of the things that we learned in the program, and we had to modify a program, was the number of kids that went away to college, but after they got there they sort of lacked the support that they needed. So consequently, we have one of our members who actually goes to visit these kids at whatever college or university they are. He talks to them either by phone or email once a week. You’d be surprised at the number of kids that sometimes they don’t know how they’re going to get to school or get back home. Well, we have to help them. We take for granted that everybody has medical insurance. We discovered about four years ago one of our students, who had just graduated from college and was going to grad school and we helped him go to grad school, went to the dentist for the first time in their entire life and discovered that if they didn’t get this major dental work it would adversely affect their health. [He] had no dental insurance, no money personally or from family to take care of a dental bill that was going to run between six and seven thousand dollars. So, members of our membership got with the dentist. Got the dentist to reduce his fees and everybody stuck their hand in their pocket and took care of the bill. And, it’s the little things that most people take for granted. You know, one of our students was a Katrina refuge. What we didn’t know was during the first six months when they came here, they stayed in a house with no lights or running water. This young lady actually studied by candlelight. She graduated. She was accepted in Cornell University. She did not have the proper clothing to go from living in the south up where it gets real cold. So, because she was going to Cornell, that’s where Harris Rosen went, Harris Rosen helped outfit her with some clothes and so did we. And then, you know, we thought our work was done except for sending her money up there. So she said, “How am I going to get to New York?” And we had to buy her an airplane ticket and pay for transportation from the airport to the campus. So, first of December she said, “How am I going to get back home for Christmas?” So those are the little things and the little gaps that you have to do with kids. What was it, a week before last, I took them on a field trip to Spectrum, Brighthouse Cable, it’s called Spectrum now. You know, we all flip on our television sets and we see all these programs, but they got to go in and see all the computers that were running. They got to see how all of this is done from soup to nuts. Speaking of careers, what was it like for you in Orlando starting out as an attorney… it was in the 70’s that you came back to Orlando to begin your law career here? During that time after I got back home I started serving private parties as a bartender. A friend of my dad’s owned a gas station. I started pumping gas and started running his gas station for a couple days so he could take a couple days off. He said he didn’t have to worry about me stealing his money. And I did substitute teaching. So I told my dad I said, “Look, I’m going to pack up my bag and move back to Houston. And my dad said, “No, don’t do that. Let me make a phone call.” Well, my dad knew Robert Eagan who was the state attorney. He called him and Mr. Eagan gave me an appointment and I went there… Mr. Eagan told me the following, he said, “Look, we don’t have any openings now. But people leave the prosecutor’s office all the time. I promise to you that the first opening that we have is yours. You will be hired.” So I continued to do substitute teaching, pumping gas, serving private parties, and studied for the bar that was going to be given in October. And the first of November I got a call from Mr. Eagan and he told me to report to work December 3, 1977. At this point in your career you’ve done so much… but at least starting out what was it like because you had so much experience going with your dad to court. You must have felt somewhat comfortable starting out, did you? Yes and no. You know, I had confidence in myself, but the other factor was, I was the only black attorney in the office. And my concern was how would I be accepted by the others. And one of the things you learned when you go into prosecution is, there were basically no training programs. And criminal law was the last thing I ever thought about doing. It wasn’t even on my radar screen. I was always interested in taxes, and torts and contracts. But, I needed a job. I had a family. So I had to roll my sleeves up and sort of on the job training. I was fortunate in that the first year and a half, I was assigned to Judge Emerson R. Thompson and that’s who I appeared before. And he was a hard taskmaster. And I learned a lot through the school of hard knocks. But I also fell back on what I learned at Jones High School: Preparation. Dotting all your “i’s” crossing all your “t’s”. Perfect practice translates perfect preparation. So that’s why I said yes and no. You became the first African American to be elected to the circuit bench of the Ninth Circuit without being appointed so you were elected. So how did that come about and who supported you in that? Belvin Perry, Jr. serving as Chief Judge of the Ninth Judicial Circuit during the Casey Anthony case, circa 2010-2011. 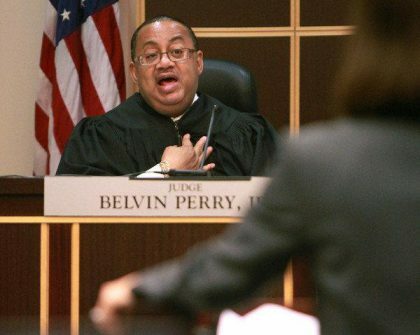 Judge Belvin Perry, Jr. first joined the 9th Circuit Court in 1989. He served as Chief Judge of the 9th Circuit Court from 1995 to 1999 and 2001 to 2014. He retired from the bench on August 13, 2014 after serving as judge for nearly 25 years including serving as Osceola County Administrative Judge and nine terms as Chief Judge of the Ninth Judicial Circuit. It’s an interesting story. I applied seven times to try to get an appointment and I never could get out of the committee. Even though people got out of the committee that worked for me, that I trained, and that I supervised. There was a murder case that I did: State of Florida vs. Kirk Hansboro. It went over to the James K. Ramsay Insurance Agency which was located near Mills and Virginia Drive where that 7/11 is now. He cased the place and he went in there and he robbed and murdered the lady who was basically the person in charge of the office. It was a pretty brutal homicide. The young man was represented by a very influential lawyer in the legal community, was a past president of Orange County Bar Association. And it was an open and shut case as far as the prosecution I could prove the case in my sleep. You know, the evidence was there. It was a brutal homicide. He didn’t have to kill her. She wasn’t dead. He came back stood over her, put his foot in her chest and finished her off. He wanted to plea to a life sentence. I said, “Why should I?” And we went to trial. His only defense was temporary insanity. He had a psychotic break and his chief witness was a guy by the name of Dr. Gilbert out of Miami that testified in the Ronnie Zamora case that dealt with – he was temporarily insane because of television intoxication. He watched too much violence on TV. And I basically shredded on cross examination his experts. And the kid got sentenced to die. And then after applying several times and never could get out of committee, a friend of mine James B. Greene, who was chair of the expressway authority, who was very influential, talked to somebody on the nominating committee and basically told me you can forget about that. You’ll never get out because of that case. So my boss Robert Eagan said,”Look Belvin, you tried seven times and you never could get out of committee. The only way that you’re ever going to be a judge is to run. And that’s the only way that’s going to happen. I’m just going to be frank with you. You’ve made too many enemies as a prosecutor.” And, you know, I said to myself, the cases that I was given to prosecute, the case that the office didn’t plea bargain on, that’s why they were given to me to prosecute. So I went in and I talked to Bill Frederick who was then the Mayor of Orlando. I talked to Buell Duncan and Jerry Chicone. And I got some words of wisdom from them and a little support from them. And they told me they thought that if I ran I could win, but it was not going to be an easy task. Mr. Eagan sent me to talk to Jeannie Austin. I don’t know if you know her? Jeannie Austin was the head of the Republican Party in the state of Florida and eventually became the Vice Chair of the Republican National Committee. She had big connections with Bush 41. Mr. Eagan gave me an introduction and after talking to her about 45 minutes, even though it’s a nonpartisan race, she opened up all her resources to me. And there were people that were – she was the grass roots type charisma. And she put me in contact with different people and they carried my literature around going door to door. And I ran, I ran against an incumbent judge that had some baggage. He raised, I think, $58,000 dollars and I raised, $8,000. I knew I would beat him in Orange County and I knew that I would loose in Osceola County. My mistake was calculating. I didn’t think I would lose as badly as I did. And Osceola County was a peculiar place. It wasn’t based upon race. It was based upon people knowing you or not knowing you and you not being from the community. So while I beat him in Orange County by 5,000 votes because of the whipping that I took in Osceola County I won by, I think, it was either 400 or 200 the difference between. In terms of your judicial career what has meaning for you? You know, one of the things that I learned from my parents is a refrain that you hear everywhere: “Is to leave the place a little bit better than when you found it.” And when I look back on my career, I look at how we brought technology involved. How we got the court to speak as one voice. Even though we may rule differently, the process we try to make the same. The work that we did in establishing a specialized court for drug treatment, veterans court, complex business, domestic violence cases. The jail courts that increase the process and rate of cases to get cases moving. Those are things that I will look back on that have a profound effect. Establishing the Central Receiving Facility grew out of that. So we went to Bill Sublette, who was a representative, and he told us, “Oh no. It’s too late to do anything about it.” And then a week later he called me back and said, “Let’s give it a shot.” But he also told me that there’s infighting among the providers and it had sunk an effort once before. So I got them all in a row and for whatever strange reason they all listened to me. And they all decided to get in the same boat and row in the same direction. And with the help of Bill Sublette, and Toni Jennings was the president of the Senate and Dan Webster was the Speaker of the House,we started getting funding. But the major reason we started getting funding was that we had everyone at the table and people were bashing and fighting each other. 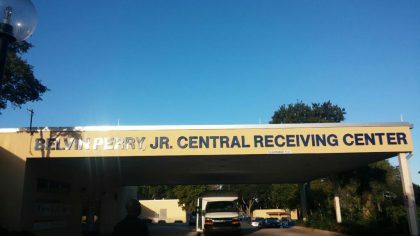 The Belvin Perry, Jr.Central Receiving Center opened in April 2003. And then out of that grew this thing where you could get treatment for mental health. You could get treatment for drugs, but you couldn’t get a dual diagnosis. Those people were caught in this no man’s land. They either had to choose one treatment over the other. And after bashing our head against the table for a couple of years we were able to do it with help from Orange County Government starting with Richard Crotty and continuing through to Teresa Jacobs where we created the Central Receiving Center and it became a model nationwide. And it stopped that cycle of people going into the criminal justice system being arrested who didn’t need to. Although there is still much more work to be done because the Orange County Jail is still the largest mental health facility around. But, you know, there’s always going to be work to be done. Well, speaking of work to be done, what message would you give to future generations? Each and every one of us owes something to the community that we live in. It’s a part of the rent that we pay for being a part of it. And if everyone just gave one helping hand to one family, one person, that would make a tremendous difference in this community. When I look back on my life, I look back at the various people that touched my life that were all positive influences, that gave positive reinforcement and gave negative reinforcement when it was needed. But, I’m a product of this community and I’ve seen the good, the bad, and the ugly. I grew up in segregation and I know what that’s all about. And, I suggest to people to do your part, to leave your portion a little better than you found it wherever it is. There’s no such thing as a perfect world. There’s no such thing that you’re not going to have obstacles to overcome and you’re going to get knocked down. But you got to learn each time you get knocked down you got to get back up. And failure, you have to learn is not an option. You have to take your failures and turn those into successes. Each of us has different God given abilities and you cheat yourself, and you cheat society when you don’t use those to the best of your ability. When you go to any cemetery, you’re going to see a date of birth, and you’re going to see a date of death, and there’s a dash in between. And it’s what you have done in between that makes a difference.